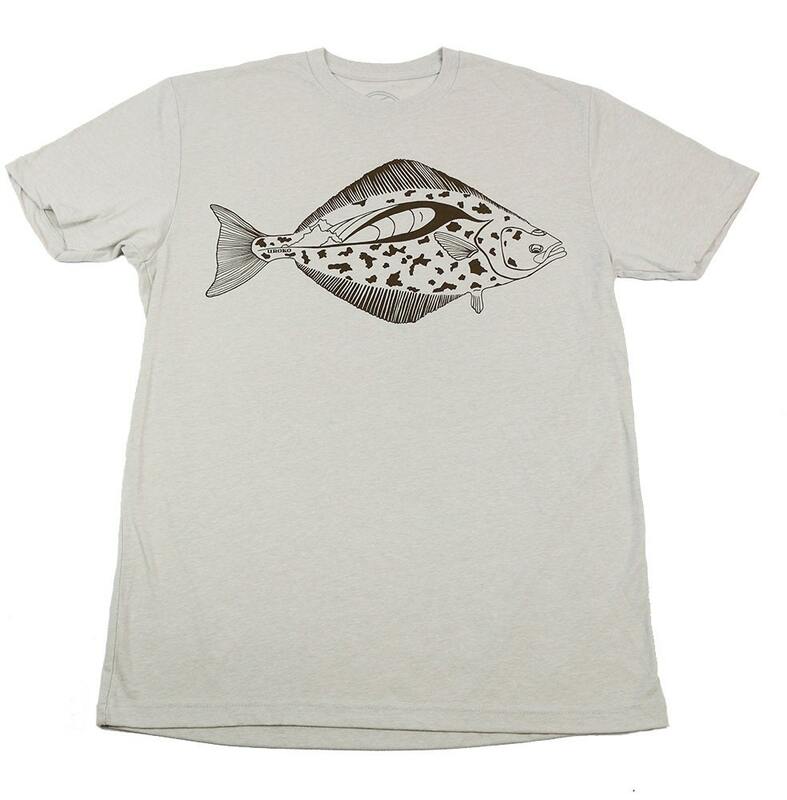 This halibut tee features a breaking wave that follows the backbone of the halibut. I can't tell you how many halibut I would spot while surfing as a kid. Then, when I would go back out for them with my hawaiian sling, I wouldn't see a single fish ... fishing, you got to love it. T Blank: 50 Poly/ 50 Cotton (Next Level). Printed with water based ink for a non obtrusive feel. Designed and printed in Santa Cruz, Ca.